Did you buy a Powerball ticket? Can you believe the jackpot is $1.3 billion?! What would you do with that kind of money if you won? A lot of you loved the marble monogram I made last week so including Shannon's DIY Knockoff Marble Shelf in this week's list was a no-brainer! 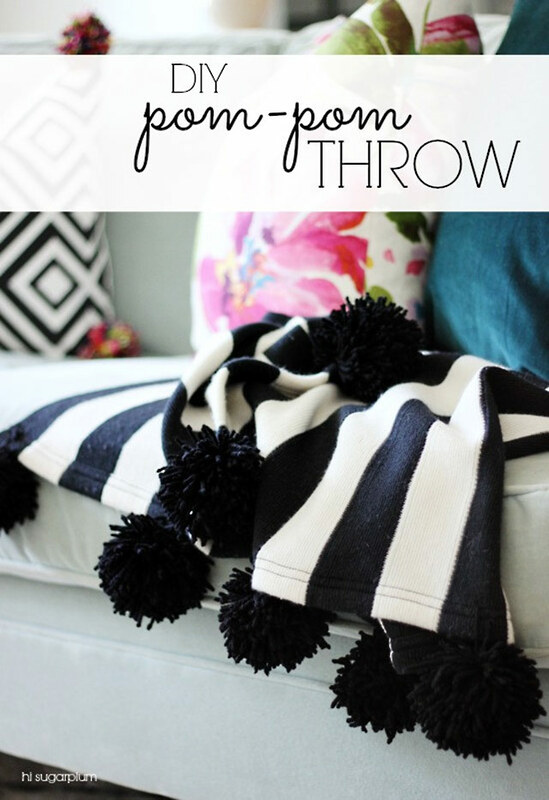 DIY Pom Pom Throw by Hi Sugarplum! 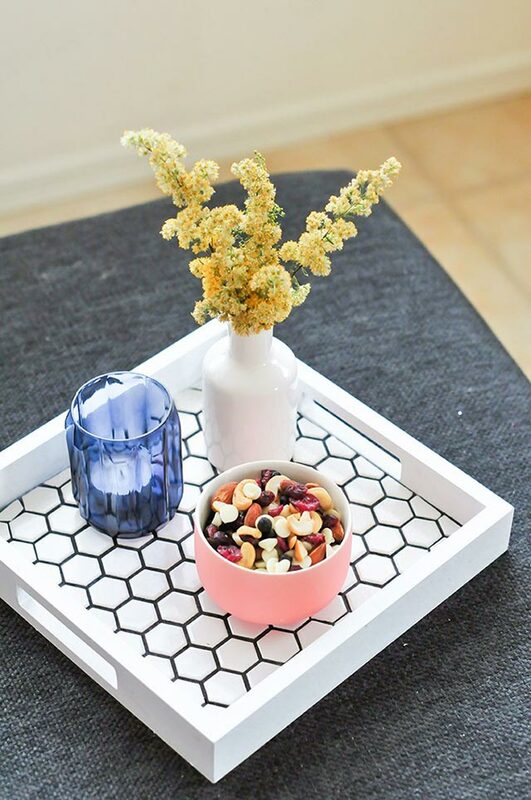 Lexy made this tray with tile she had leftover from the fireplace she made! I love how chic and versatile it is. I'd love to make one for our bathroom to help control the countertop clutter! 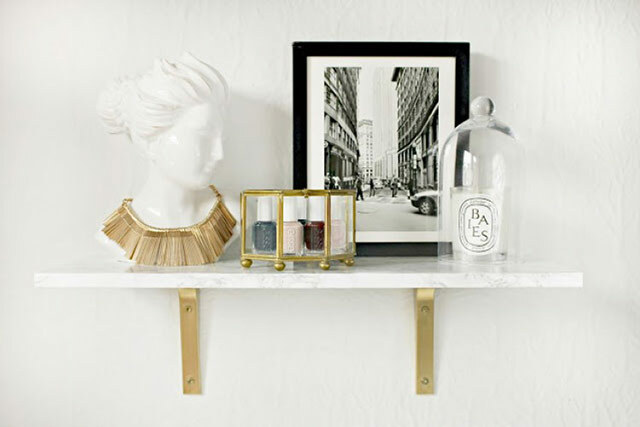 Thank you for sharing my DIY marble shelves! Isn't that contact paper just fabulous?! I've been itching to use marble contact paper somewhere for forever, but I haven't found the perfect project yet...love that shelf! I LOVE the pom pom throw... and love your marble letter from last week and think it would be so fun to spell out a word with those letters! I love that tray! 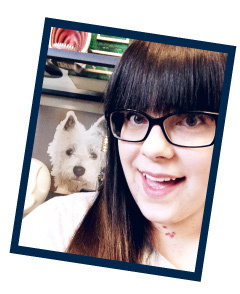 anything that reminds me of beehives is good in my book!